"Why did no one come up with this earlier?" I really like the fact it's all drag-and-drop. Internally, we have discussions on how to build the best registration form. With Flowmatik we can make changes in seconds. The best feature is the fact that users can send links to themselves so users can continue on a different device (incl. mobile!). The builder is all drag-and-drop but could still use a bit of UX work. It's unclear your work has been saved (apparently it's auto save). Also, the analytics overview of the flows could be improved. I can see the live number of users and click conversion but I can not see in which step user drop. Flowmatik works super fast once you understand it's all drag and drop. Their terminology might put you off a bit as they refer to 'flows' where I would call them just 'forms'. It's a great form builder that blends in much better than our previous provider. Although previous provider's editor may include more advanced features, I like the fact that Flowmatik flows are easier to embed and look more professional. What really works well for us is the fact that users that get stuck within one of our flows get reminders e-mails and even a text message. Never seen this before in such a simple way. * We monitor all Flowmatik reviews to prevent fraudulent reviews and keep review quality high. We do not post reviews by company employees or direct competitors. Validated reviews require the user to submit a screenshot of the product containing their user ID, in order to verify a user is an actual user of the product. Hi there! 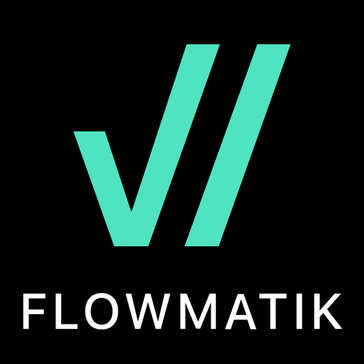 Are you looking to implement a solution like Flowmatik?